Many things in this world seem impossible. To some, solving the human rights issues throughout the world is impossible, to others, cycling 100 miles in a day is impossible. But the solutions to achieving these seemingly impossible tasks, in fact, are within reach if they are simply handled a little at a time. The Dream Ride allows people to discover in themselves the ability to do the impossible, both by completing a bike ride through the the San Francisco Bay Area, as well as raising money to begin chipping away at the monumental problems that face the world around us. Rather than create dependency by sending money without a sustainable plan, we have chosen our beneficiary carefully to ensure that all funds raised work toward empowerment of the disadvantaged. We all dream to live in a world where everyone is able to help themselves live the best life possible. To inspire global citizens to make a difference in human rights issues through a fun and safe charity ride. To encourage others not only to increase their own personal health and wellness but also to realize their potential to help others. 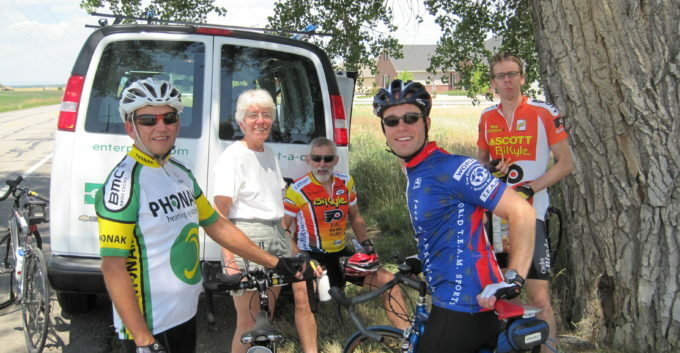 Click to learn more about the Dream Ride’s organizers. Human rights violations and global poverty are closely linked to climate change, and we believe that it would be hypocritical if we were raising money to promote human rights but, at the same time, undercutting our goal though polluting. We have researched available reputable resources and have committed to offsetting our carbon dioxide emissions of the ride though the same organization that Nobel Prize winner and former Vice President Al Gore uses, Native Energy. We will not use the funds you raise to offset emissions thus ensuring our beneficiary receives the maximum donation possible. We encourage you to offset your carbon emissions as well! There are easy tools on Native Energy’s website to calculate the quantity of emissions you will produce traveling to and from the start of the ride and the cost for you to offset them. However, this is not required in order to participate in the ride.